The Columbia and Snake rivers are located in the Pacific Northwest. 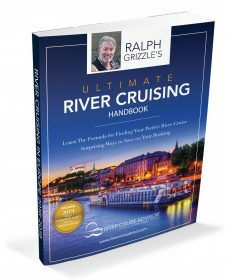 River cruises are usually between Portland, Oregon and Clarkston, Washington. However, some itineraries begin or end in Spokane or Vancouver, Washington. A pre-cruise hotel stay is sometimes included in the package. Located in the Pacific Northwest region of the United States, a cruise on the Columbia and Snake rivers takes travelers through scenic areas surrounded by mountains and gorges, including the Cascade Mountain Range, Columbia River Gorge and Hells Canyon. American Cruise Line’s recently refurbished Queen of the West recently returned to the Columbia and Snake rivers in the Pacific Northwest. Photo courtesy of American Cruise Lines. The Columbia River begins in British Columbia, Canada. It flows for 1,243 miles from Canada through the U.S. states of Washington and Oregon. Cruises on the Columbia River are between Portland, Oregon and Richland, Washington, where it forms a confluence with the Snake and Yakima rivers. The Snake River flows through four U.S. states – Wyoming, Idaho, Washington and Oregon. It’s 1,078 miles long and is the largest tributary of the Columbia River. The river begins in the Rocky Mountains in Wyoming. Cruises on the Snake River are between Richland and Clarkston, Washington. Cruises that begin on the Columbia River depart from Portland, and cruises that begin on the Snake River depart from Clarkston. Most itineraries, regardless of the river cruise company, visit the same destinations. One of the highlights of the trip is cruising through the spectacular 80-mile Columbia River Gorge. But there are many other sites to enjoy, such as views of Mt. Hood, Mt. Adams and Mt. St. Helens while cruising through Volcano Alley. There are more than 25 waterfalls along the Columbia River. Most are located in Oregon. Multnomah Falls plunges 620 feet and is the tallest waterfall on the Columbia River. While it’s not something you’ll see from your river boat, it is visible from the Historic Columbia River Highway and may be a site you’ll visit depending on your tour package. One of the highlights of cruising the Snake River is visiting Hells Canyon. It’s the deepest canyon in North America – deeper even than the Grand Canyon. This information is intended to give you an overview and a general idea of what different river cruise companies offer. With regard to itineraries – they change from year to year and sometimes within a year. For instance, more companies may expand to this region and begin offering river cruises on these two rivers in the Pacific Northwest. American Cruise Lines offers cruises on the Columbia and rivers between April and October. There are also a few wine-themed itineraries available in April, September and October. Interesting to Note: American Cruise Lines is the only company that offers wine-themed cruises. An oboard wine expert teaches a couple of classes on the ship and also accompanies guests during winery and vineyard tours. 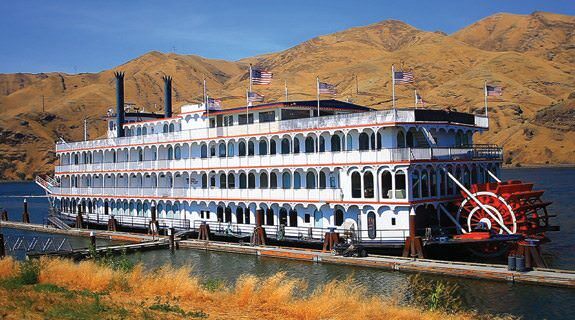 Interesting to Note: American Queen Steamboat Company includes a one-night stay in a hotel before the river cruise. 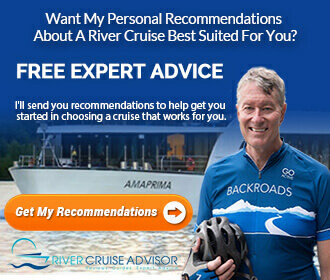 What’s the Best Choice for a Columbia & Snake River Cruise? If you would like to spend an evening in Vancouver or Spokane, Washington before your river cruise, American Queen Steamboat Company includes it as part of the package. Cruises on the Columbia and Snake Rivers are available in November only with American Queen Steamboat Company. So if you would prefer to travel in the late fall, then this would be the best option. If you like wine-themed cruises, American Cruise Lines offers a few of them during the year. You’ll have a chance to travel with a local wine expert, learn about the wines that are native to this region and have the opportunity to sample the many different wines. Read Other Articles About the Columbia & Snake Rivers.